The Indivisible Project announced its endorsement of Gillum ahead of a Tampa event with the Tallahassee Mayor. Yet another national progressive group is backing Andrew Gillum in the Florida governor's race. 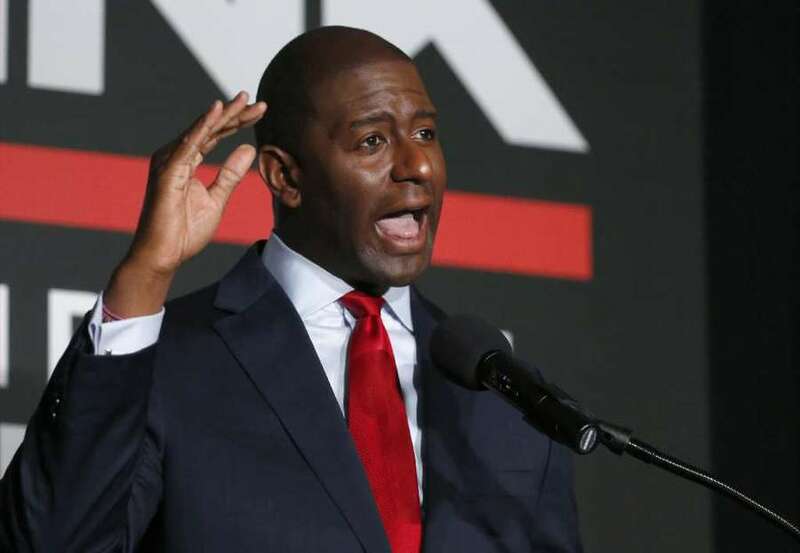 The Indivisible Project, an anti-Donald Trump progressive organizing group, announced in a press release Tuesday that its Florida members had voted to endorse Gillum, the mayor of Tallahassee. The release also touted an event Tuesday afternoon in Tampa with Indivisible leaders and Gillum. "Indivisible believes that Andrew Gillum is the best choice to lead Florida and stand up to Republicans looking to undermine progressive values," the group said in the press release. The Indivisible Project, which has several chapters in Florida, is just the latest in a series of recent endorsements for Gillum from national progressive groups. Gillum is also backed by Our Revolution, NextGen America, The Collective, the Working Families Party, and the Progressive Change Campaign Committee. Gillum is joined in the wide-open Democratic primary by Gwen Graham, Chris King, Philip Levine and Jeff Greene, all of whom have aired television ads. Gillum has yet to do so. Gillum's event with Indivisible is set for 2:30 p.m. at Tampa's Armature Works. He's also set to meet with the Tampa Bay Times editorial board Tuesday for an interview.